sculpture, a wreath, and an inspiration piece for DIYers. When you think of art for wall décor, your mind may turn to black and white photos framed under glass, landscape oil paintings, watercolors of beach scenes, abstract canvases, or antique signs. All of these qualify. 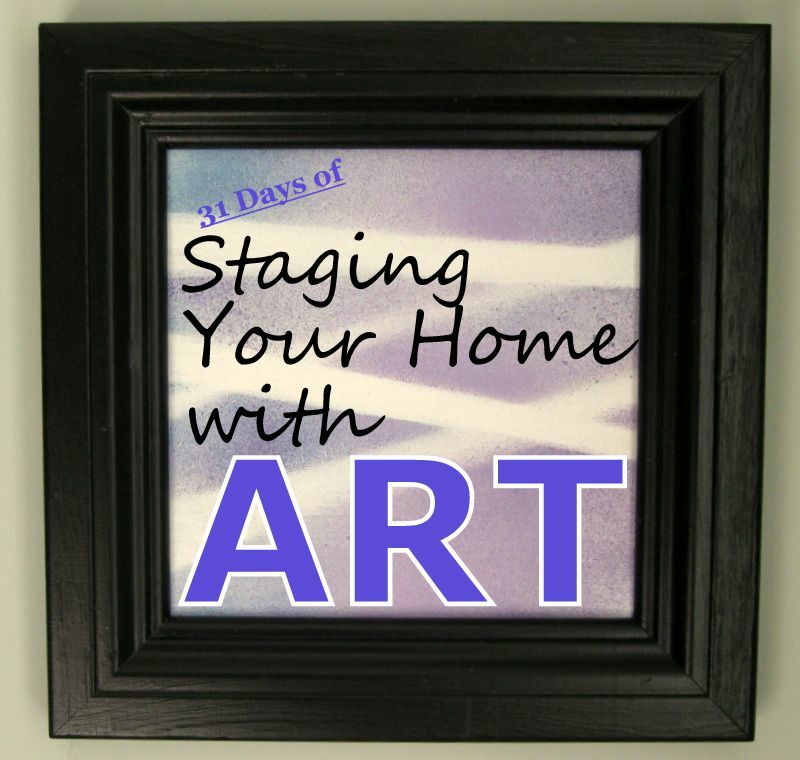 My series of wall art for home staging will include four different categories of art, and focus primarily on three of them. Glass (or "glazing") protects art that needs protection from dust, moisture, grease, smoke, overexposure to light (if it's UV-protective glass) and other detrimental forces like people’s fingers. Non-glare glass can eliminate annoying reflections. This category of art includes photographs, prints, pastels, original drawings, mixed media works like collages that are then painted, and delicate objects like needlework and fabric arts. Work like this that’s easily damaged is usually matted. The mat surrounds the art with thick cardboard-like paper that protects the surface of the art. It prevents the glass from laying directly on the surface of the photo or drawing or print. Posters are often not matted because they are not considered precious works of art. Sometimes posters are not even glazed, but merely mounted on suitable backing with or without simple framing. 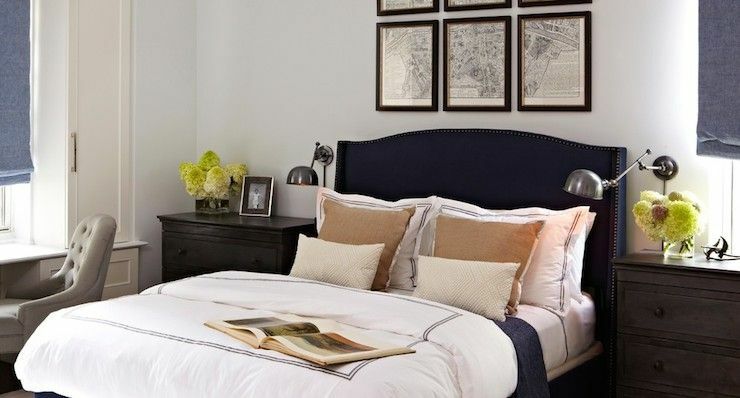 that adds to this Joss and Main bedroom's sophistication. Mats serve another important function and that is to surround art with white space. White space calls attention to the work itself, gives the eye some place to rest, and generally makes the art look better, cleaner, and more important. Paintings are a different category. A regular oil painting or acrylic painting on canvas is never covered with glass. These works don’t need that kind of protection because the paints are heavy enough to protect themselves. Exceptions are when acrylic paints are applied to paper, or combined with photos and therefore need to be framed under glass. no glazing, so glare and reflections are not a problem. Wall hangings that display more form make up our third cluster. This group includes art objects such as wreaths and similar hangings made from metal, wire, folded paper, baskets, plates, or even cut tubes from toilet paper rolls (yes, we’ve all seen those). 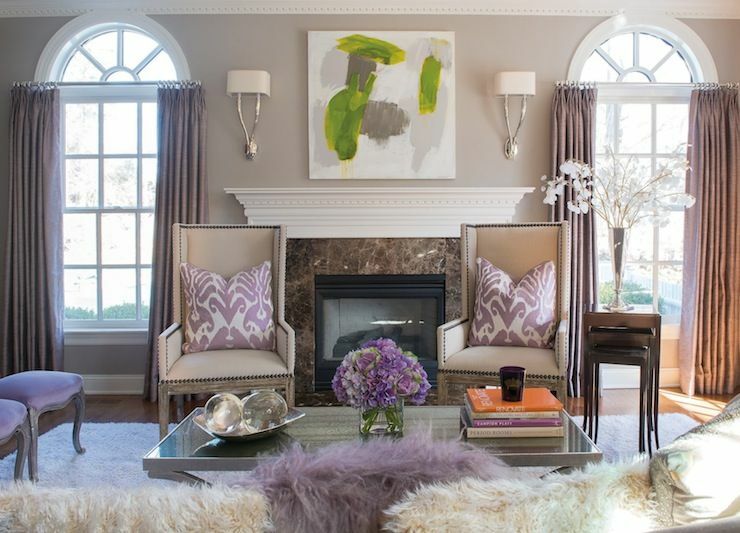 These kinds of art forms are often the most fun and imaginative for the DIY home stager. And the last category includes wall hangings that are simply hung from a rod. I’m thinking of rugs used as art, handmade quilts and other textile arts, tapestries, and one-of-a-kind flags. These can be striking and effective original home staging props, but usually call for skills beyond the scope of most DIYers unless of course, she happens to be a quilter or weaver. for staging your home, I will show you how. Because I am limiting my 31-day discussion to wall art, I won’t be including art such as sculpture, ceramics, glassware, sconces, mirrors and other art objects. The tutorials I am working on and will be presenting here I chose because they all have certain qualities. They needed to be DIY-friendly because this blog is about DIY home staging. I wanted them to be fairly quick and easy to do because I know most people who stage their own homes are busy people. But I designed my projects to get impressive results, too. I also chose projects that are thrifty. I love to upcycle, recycle and source materials creatively. I don’t want you buying a $37 pad of watercolor paper to produce one picture, so I’ll suggest economical alternatives. When possible, we’ll use common supplies and tools that most DIY folks have already. I looked for lightweight art projects. 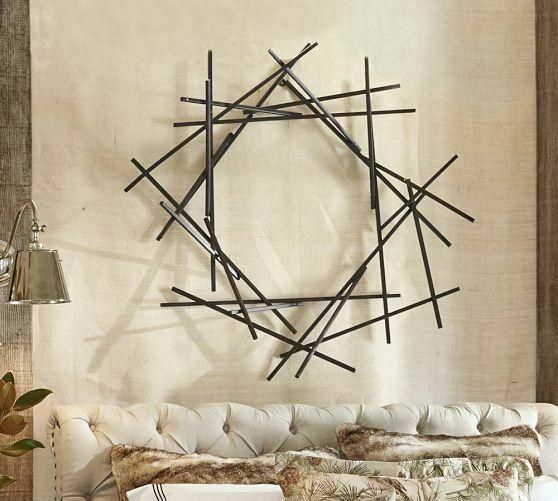 Hanging art in a staged home shouldn’t be a major production. 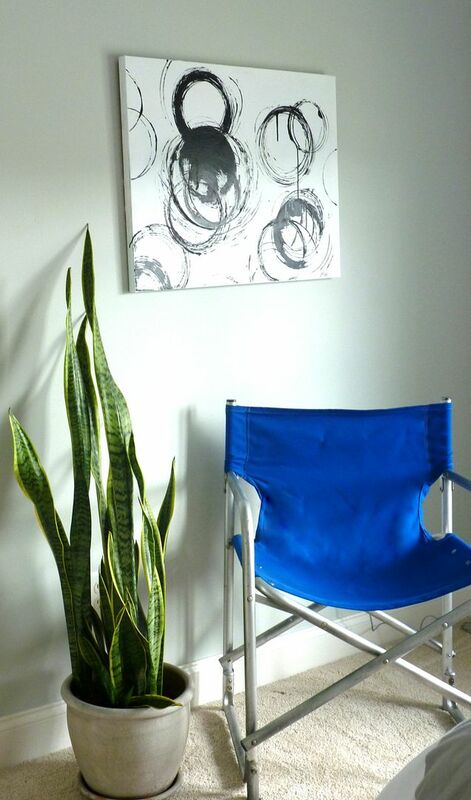 You may have just painted your walls and hate the thought of adding holes, so I will suggest ways to hang art that do not damage walls when going up or when coming down. Making them lightweight makes this easier. Join me on this journey to get those walls decorated in your staged home. And if you are not selling your home, I hope you’ll learn some new tricks of the trade to make wherever you live your dream home. Be sure to download my $4.99 eBook, DIY Home Staging Tips to Sell Your Home Fast and for Top Dollar so you’ll be informed and inspired.